So I think of the day, the hour, the atmosphere in the house, and the noises in the street, when a thirteen year-old did this strange first thing for a German artist to do. 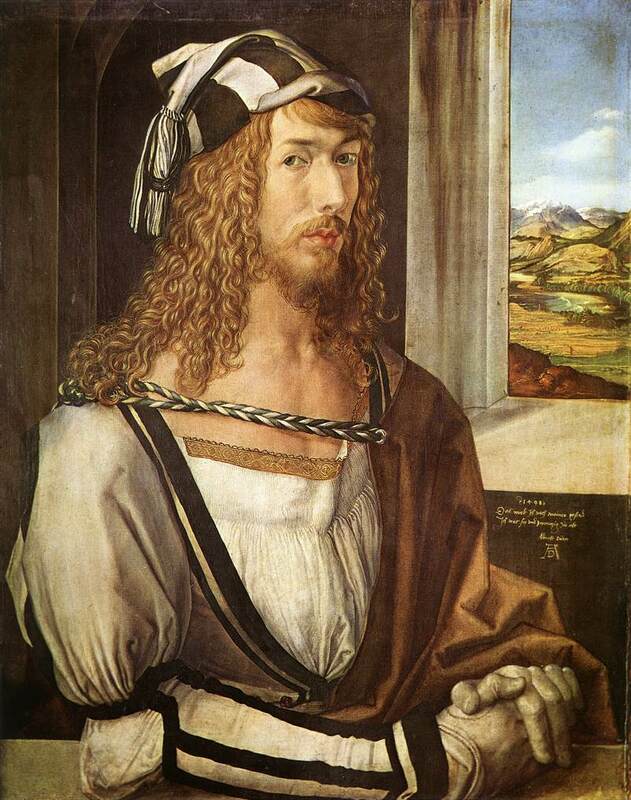 And then I reflect on the face in all of his subsequent, and no less distinct, self-portraits, down to one of the last, 1522’s Self-Portrait as a Man of Sorrows, sickly and sagging. 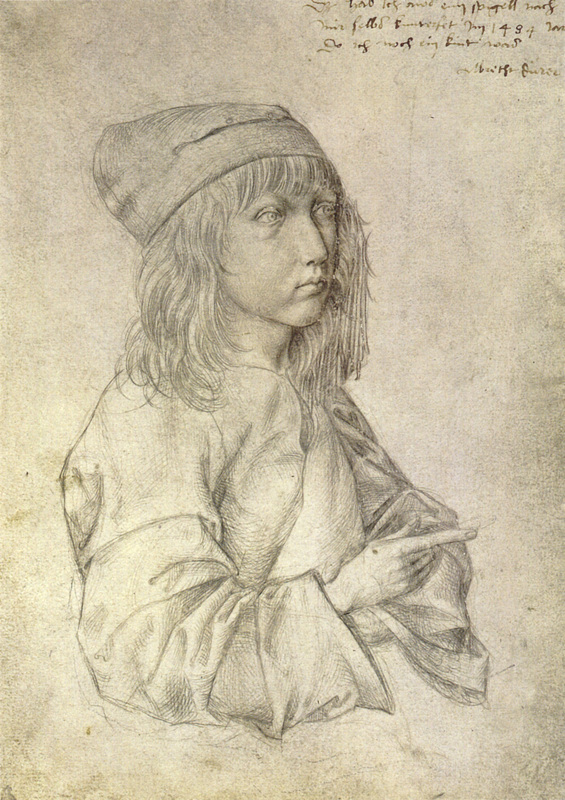 Dürer apprenticed under the artist Michael Wolgemut, and Smith compares the latter’s pedestrian Portrait of a Young Man, and Dürer’s 1493 Self-Portrait as a stunning illustration of “how quickly Dürer surpassed his master.” I’ve heard it said of some of Picasso’s portraits, “I wouldn’t want to meet that person, but I like that picture,” and my reaction to Dürer’s 1493 likeness is something similar. 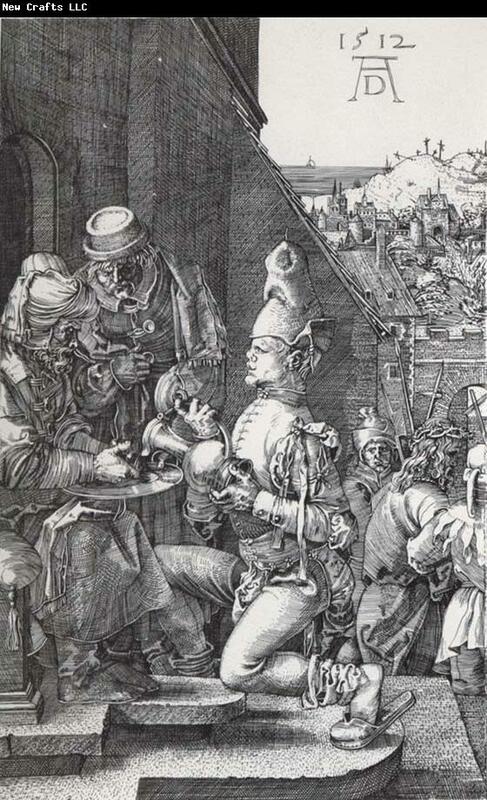 While, as Smith says, Dürer “clearly delights in his own appearance,” that very appearance is not meant, it seems, to be attractive in the manner of portraits of the politically or religiously power. 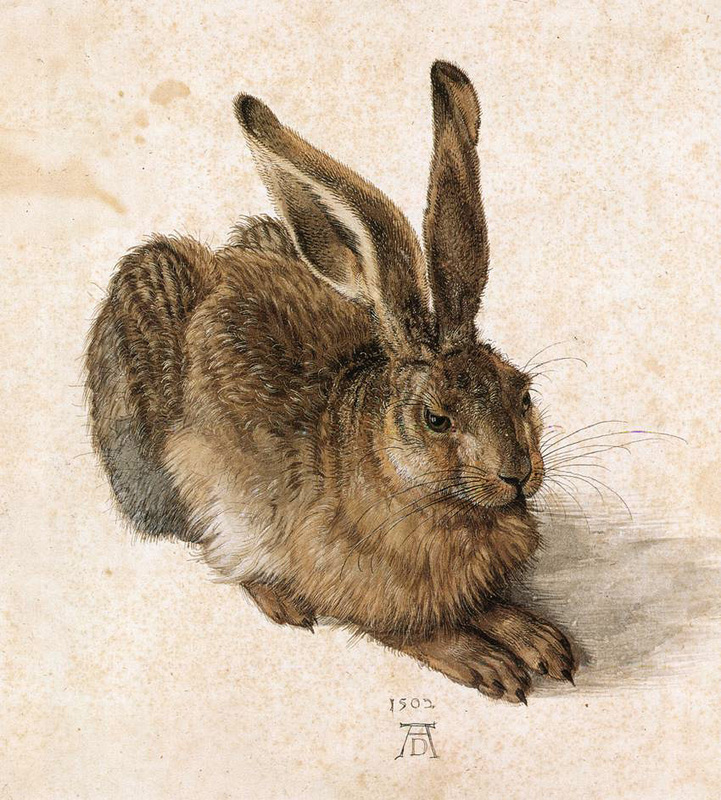 Dürer is always the artist, the maker with real hands, and always depicted with a “disconcertingly believable physical presence.” The picture is inviting, but the prospect of meeting the person is not. 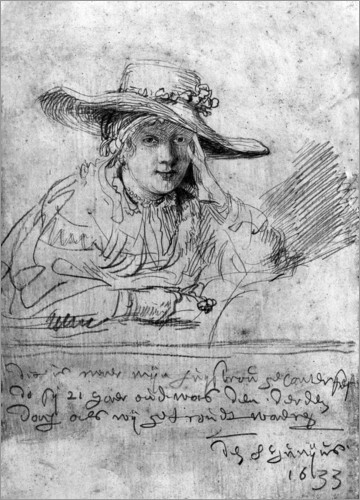 Smith also points to Dürer’s portraits of his wife, such as the simple My Agnes, as also being unprecedented for the period, and looking ahead to the “unguarded” moments caught by Rembrandt’s sketches of his wife, Saskia. 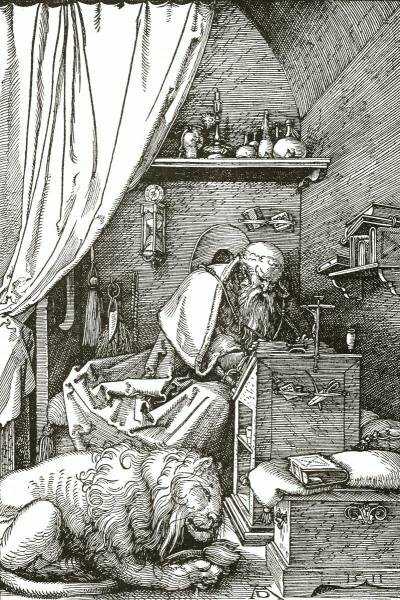 Zeuxis was an artist in ancient Greece, but little of his work survives other than colorful anecdotes. In one, he apparently painted grapes so convincingly birds tried to pick at them. 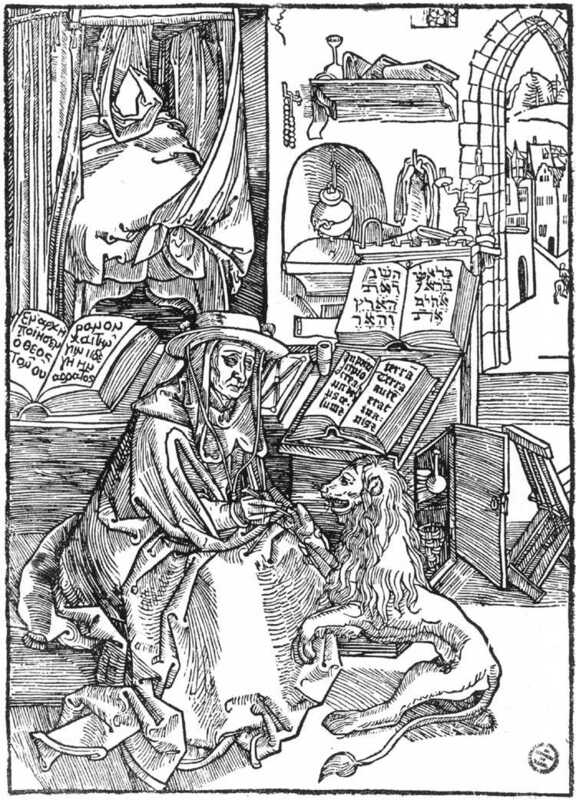 For his part, stories from Dürer’s friends circulated that his dog licked the famous 1500 Self-Portrait, so true was it to the master’s likeness. 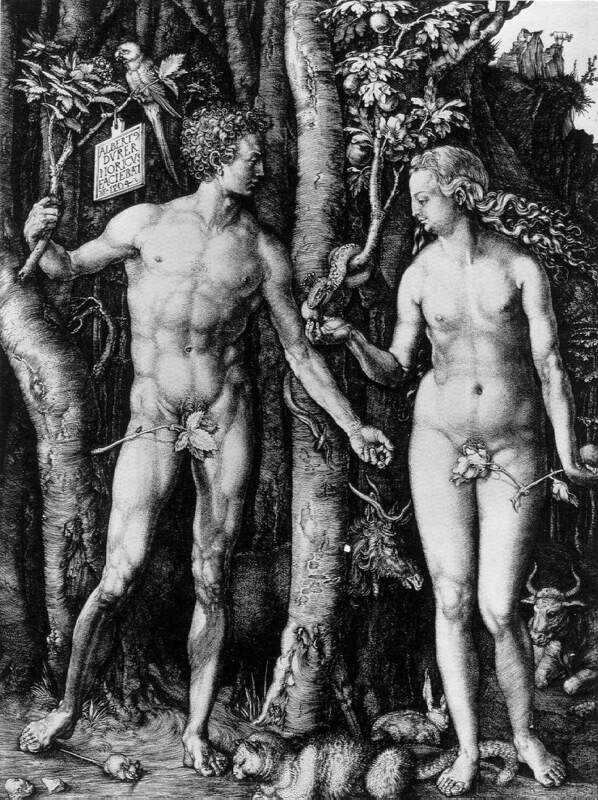 Similar stories are told of the Greek artist Apelles, and in reference to his engravings, Erasmus called Dürer the “Apelles of the black lines,” writing that Dürer surpassed the Greek by being able to depict “shade, light, radiance, projections, depressions…. 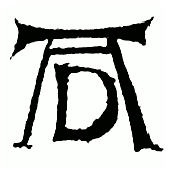 fire; rays of light; thunderstorms; sheet lightning; thunderbolts; or even, as the phrase goes, the clouds upon a wall; [and] characters and emotions” using only black lines. 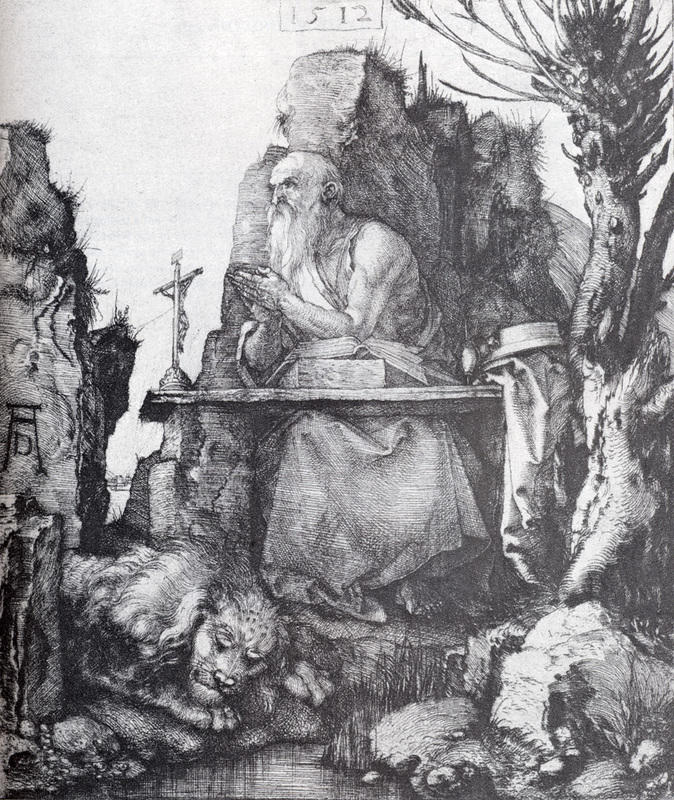 While such comparisons are beyond my knowledge, I realize that I do look at Dürer’s engravings and woodcuts with the same fascination as Bernini’s statues, wondering how a human hand can do so much with so little, or with something so basic as stone, or black lines. 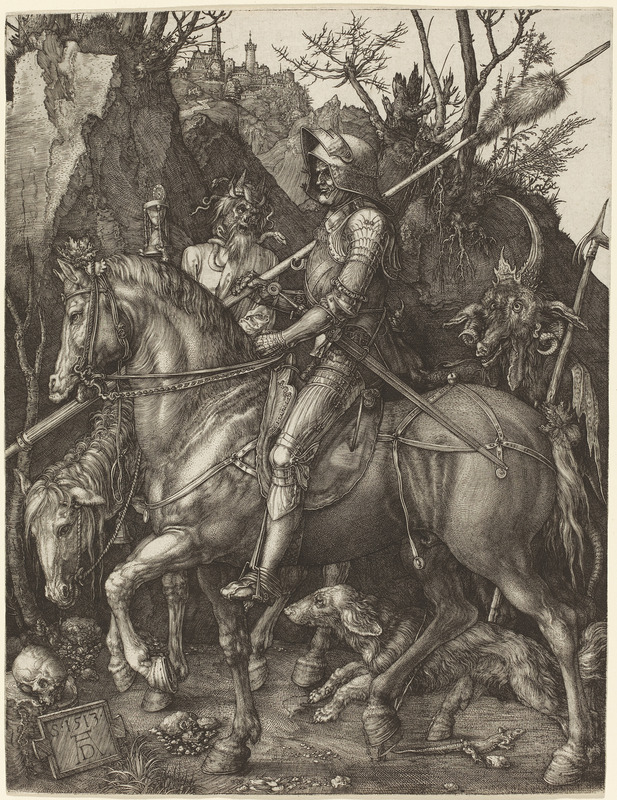 For Dürer there are foregrounds with multiple landscapes and cityscapes behind them (Samson and the Lion), his astounding woodcut of a rhinoceros that needed no background, and there are scenes which seem to blend the two, impossibly complicated and crowded and muscular foregrounds with only a hint of background, as in the weighty and terrifying Four Horsemen, or Knight, Death and the Devil, all of which do indeed arise simply from the use of lines and empty space. 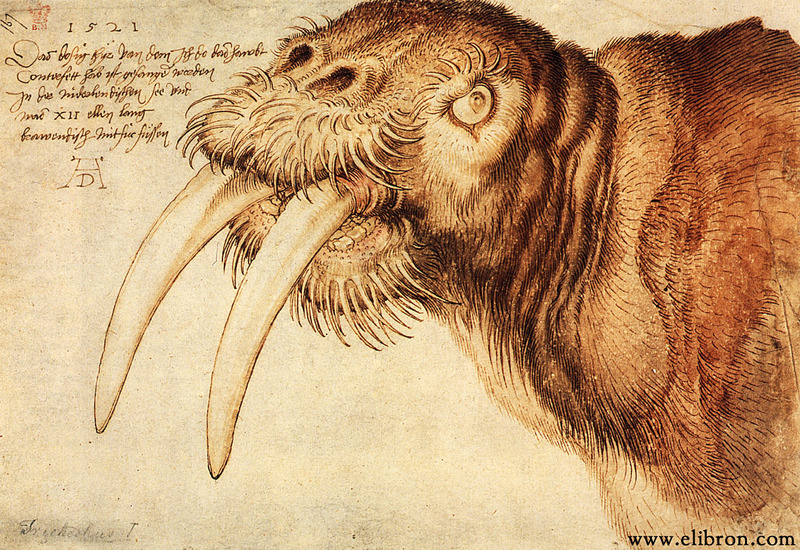 Yet Dürer obviously also spent his life with color, as his watercolors and sketches of the natural and animal world attest: his Walrus, Hare, The Large Piece of Turf, and the companions Dead Blue Roller and Wing of a Blue Roller, among others. 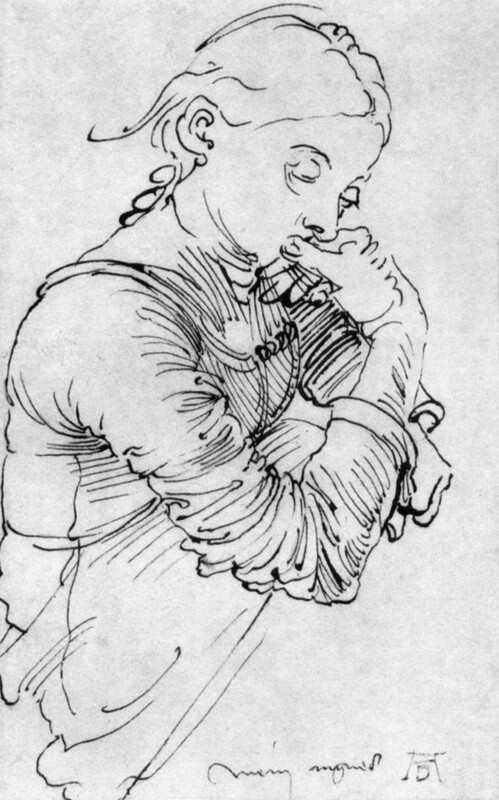 And there are others before these: between October, 1494 and May, 1495, Dürer traveled to Italy for the first time, ending up in Venice. 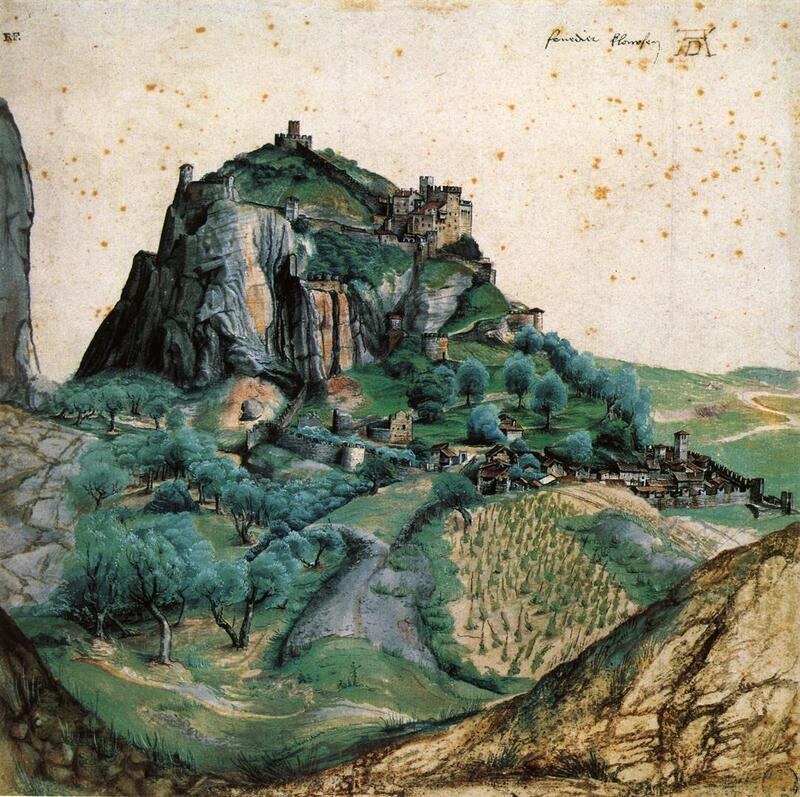 The four-hundred thirty-mile trip, apparently taken because of an outbreak of plague in Nuremberg, could last as long as two weeks, and Dürer used the time to do a series of watercolor landscapes. 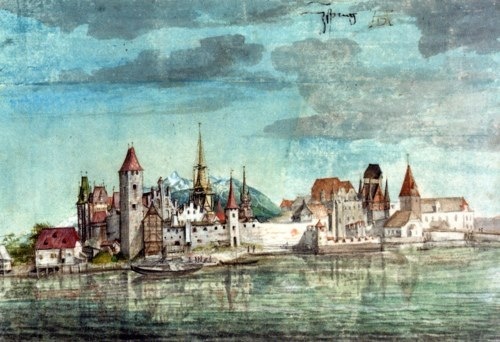 Smith notes that Dürer would have first been exposed to city- and landscape art at Wolgemut’s shop, where detailed cityscapes (even birds-eye-views) were commissioned, or where specific landscapes or cities were placed in the background of religious scenes. 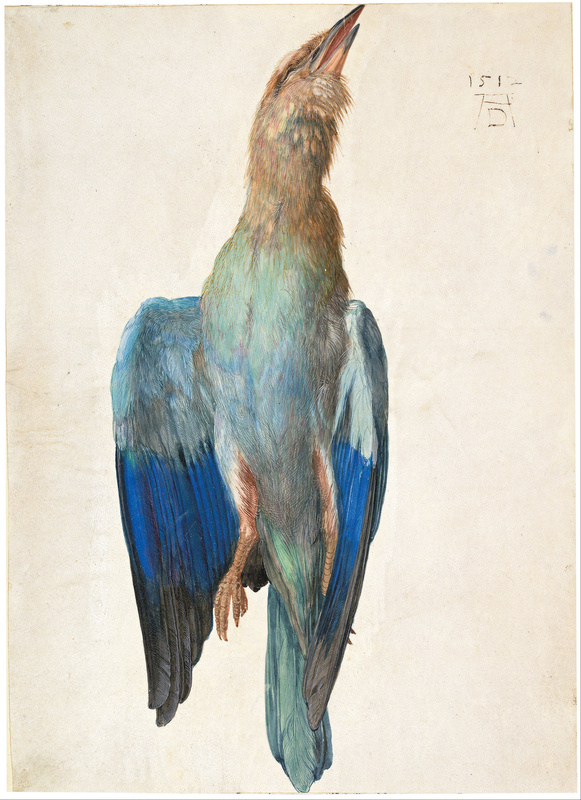 Smith writes that Dürer’s approach to these watercolors may have simply been based on “the amount of time available before he and his party moved on.” So again we can imagine a scene, a caravan, the bustle, and the artist simply among them, painting quickly or slowly, depending on the rhythm of others. 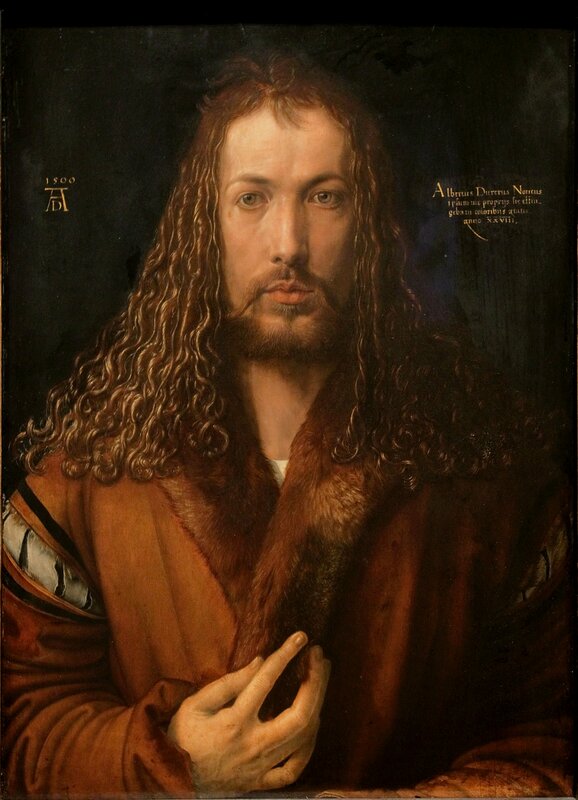 Dürer’s earliest use of his famous AD monogram come in his 1498 Self-Portrait, with the note that the painting was executed when he was twenty-six. 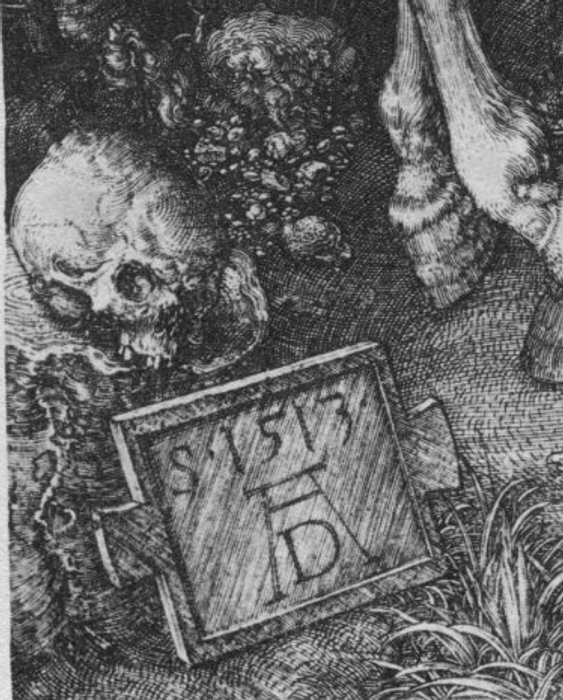 And from its first use here, looking “anchored” to the wall, the monogram became a character of sorts in his paintings and engravings: it later appears chiseled into a stone on which Christ is sitting; or the letters hang sign-like from a tree; or they “rest on the ground or are propped up on various surfaces”; in his Christ Cleansing the Temple, “the monogram, like the adjacent table, has been knocked over and partially falls out of the scene,” and in his depiction of the Garden of Gethsemane, the monogram is shown in the shade, as if it were as tired as St. Peter. And on and on. 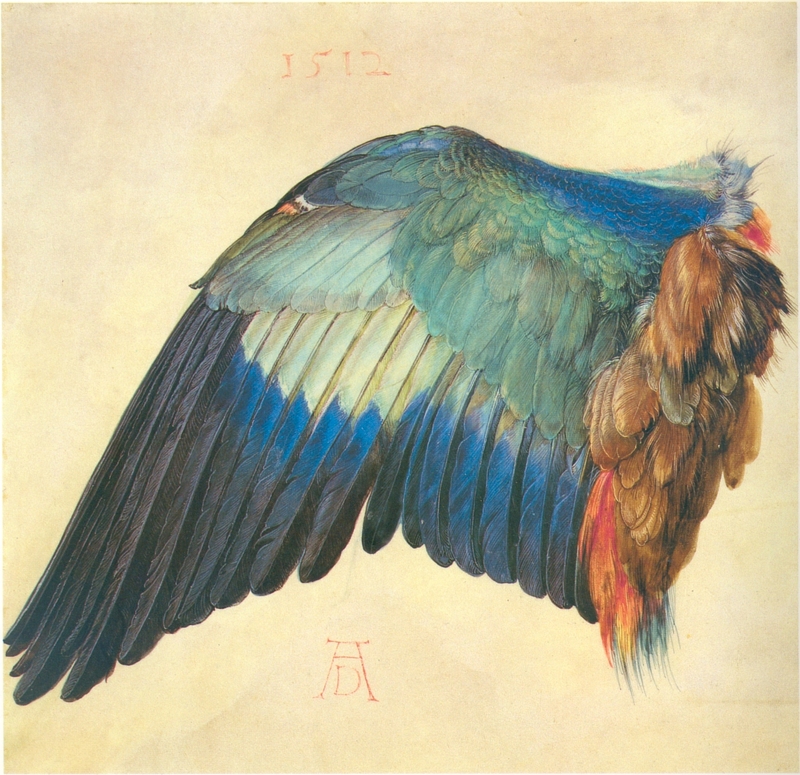 If Dürer has a serious sense of his own genius, and his own personality, it happily seems to have been coupled with a good sense of humor and play. 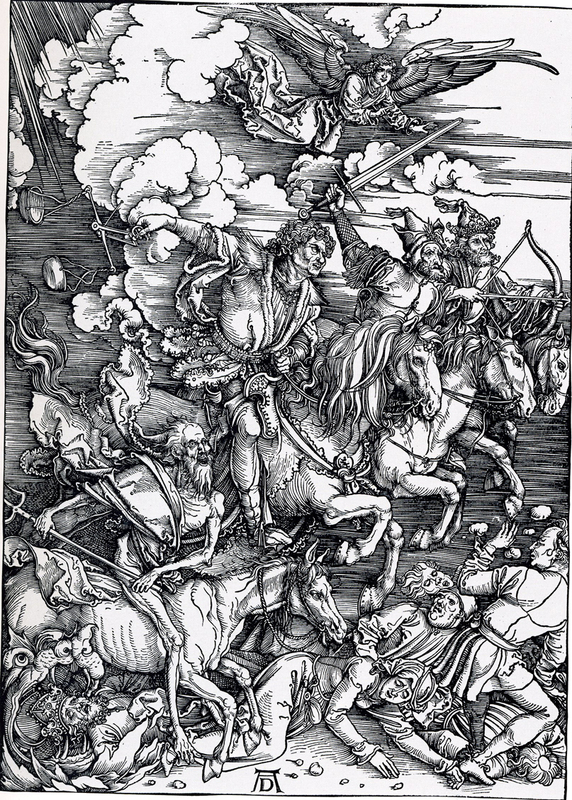 In 1498, Dürer paid for and published the book, Apocalypse, his illustrations alongside the text of the Book of Revelation. 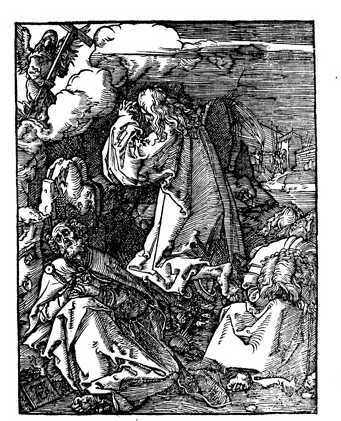 It is “the oldest known book printed by an artist at his own initiative.” Inspired by Wolgemut’s Nuremberg Chronicle, Smith notes important differences: Nuremberg Chronicle contained work by many artists, but Dürer’s book contained only his own; and while the Nuremberg Chronicle was taken on when Wolgemut was old and established, Dürer attempted (and succeeded) with the same gesture at the very beginning of his career. 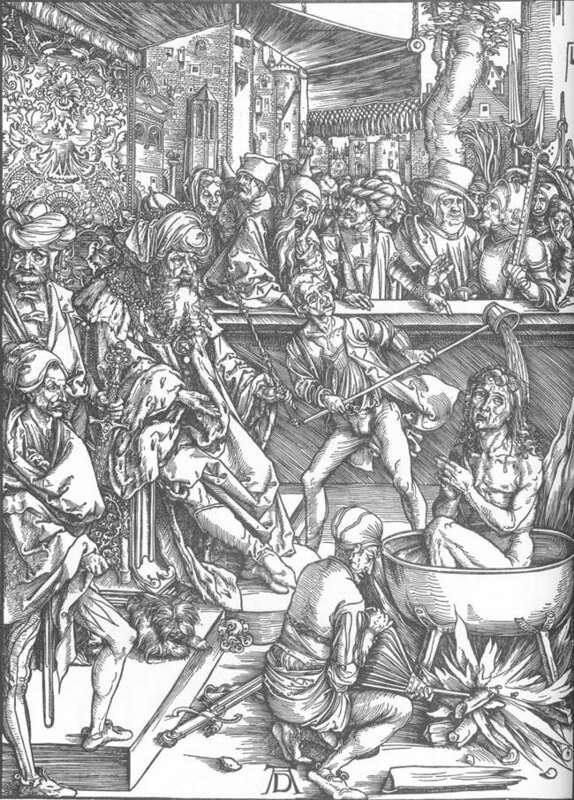 In his woodcut of the Martyrdom of St. John, Dürer dresses the Roman Emperor Domitian in Ottoman dress; and in his Pilate Washing His Hands, Pontius Pilate is also given Ottoman dress, much as Bosch and others used Ottoman and Muslim motifs in their depictions of the crucifixion of Christ, an anachronism in all ways that made its contemporary point. In this way, Jordan Kantor’s comparison of the depictions of the Passion of Christ to jazz standard—a kind of stock scene which could be redone many different ways—widens out to the entire history of art, to all figures, gestures, landscapes, symbols, and the rest. Not only a standard scene, whatever it might be, but the standard idea of a scene at all, a human figure at all, a landscape or cityscape at all. 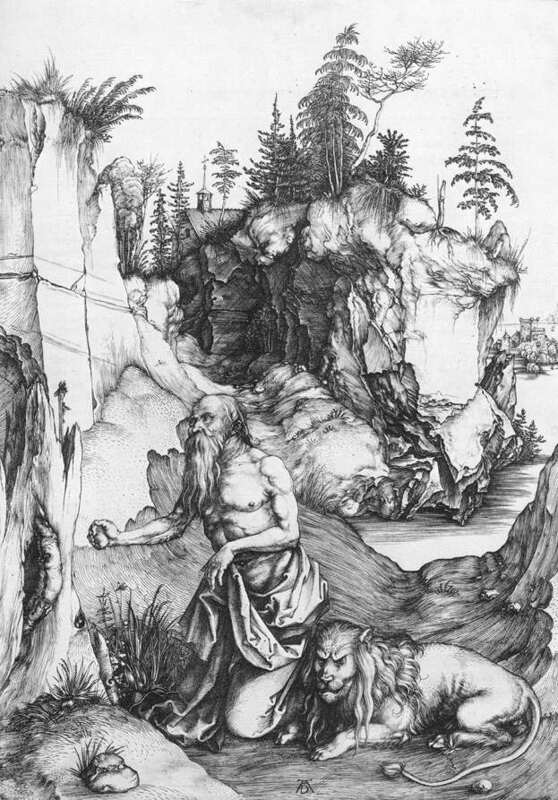 And we can see it at play also just in Dürer’s handling of the theme of St. Jerome, sometimes accompanied by a lion, studying and translating and writing. 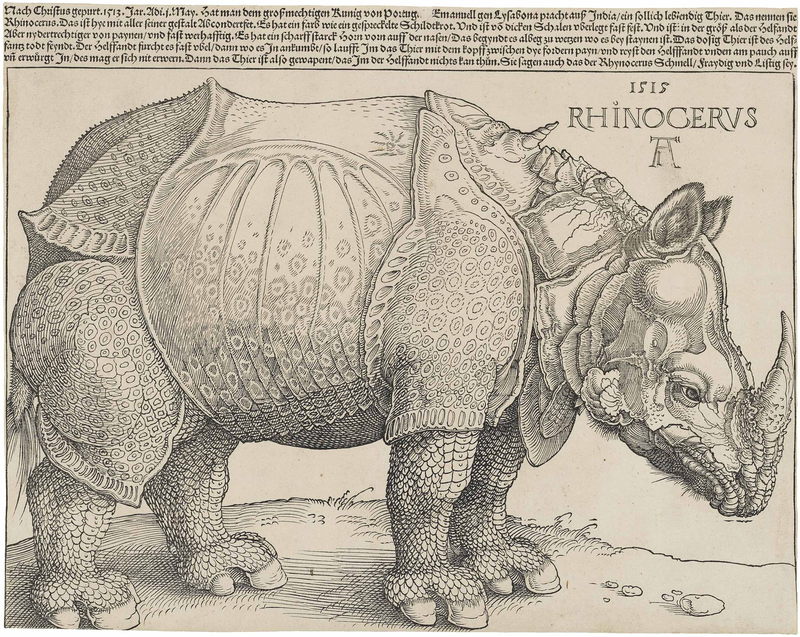 For a year beginning in July 1520, Dürer and his family toured the Netherlands as honored guests, and he came away with a great stock of foreign art and objects. 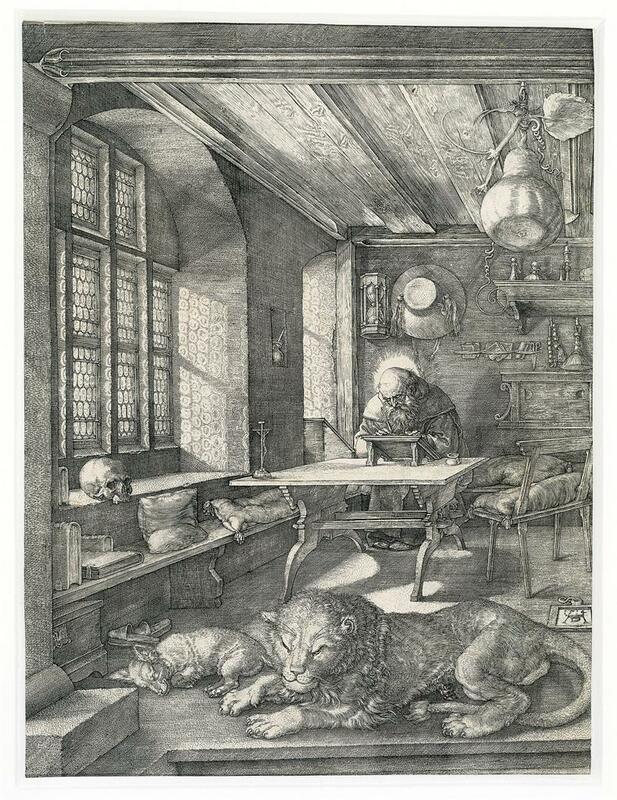 Like Rembrandt’s house, found cluttered with curiosities and oddities after his death, Dürer collected everything. 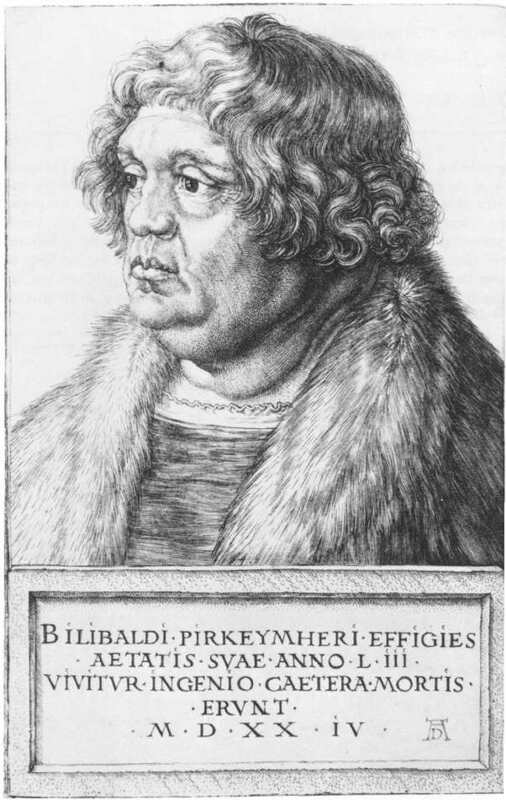 Smith writes that Dürer took in “anything from south Asia and possibly the Portuguese ports of trade in Africa. 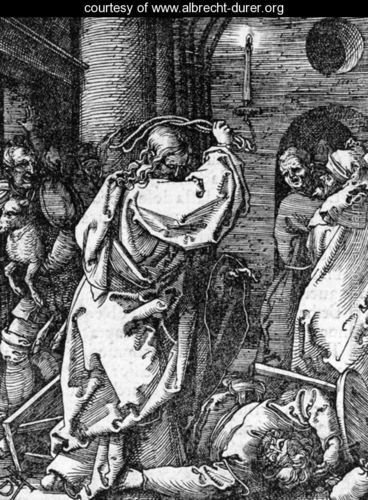 This includes a wooden weapon, feathers, cocoanuts, nuts, two ivory salt-cellars, silk clothing, the round shield covered with fish skins and two gloves… an old Turkish whip, Turkish cloth and Moroccan leather. 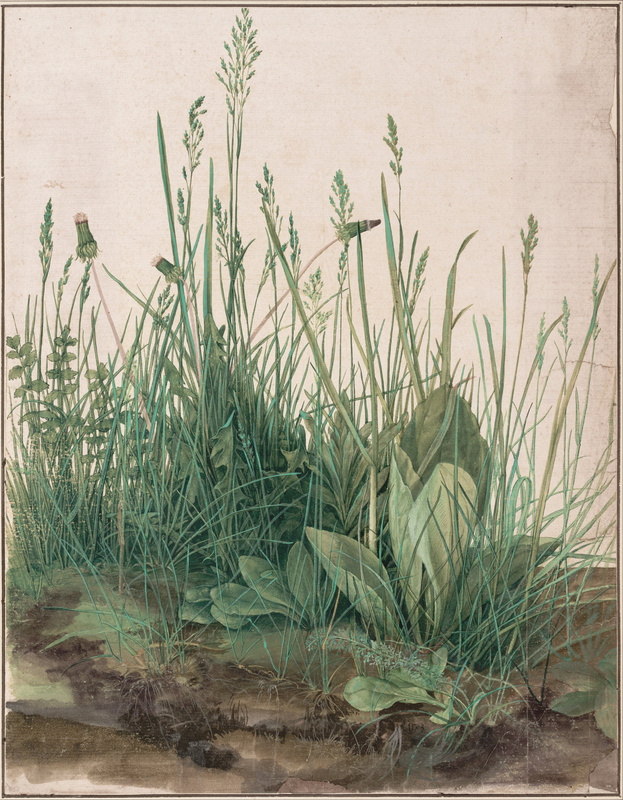 Dürer delighted in nature’s artistry as he amassed veined shells, branches of coral, an elk’s foot, lots of horns, a sprouting bulb from Zeeland, a musk-ball from a musk-deer, a snail’s shell, porpoise-bristle brushes, perhaps a dried octopus, a possible living tortoise and a large turtle shell,” and so on. This reminds me of a late remark by Thomas Aquinas who declared, after having a particularly astounding mystical experience (and after having spent a lifetime writing mountains of theological work), “All that I have written seems like straw compared to what has now been revealed to me.” I wish sometimes that the young (or even middle-aged) could take the ideas like these, of old artists and mystics and thinkers, as seriously as they do the energized proclamations of the young. The energy of youth, coupled with the realizations of age can yield great things. Only a day after he was buried (perhaps the idea came a moment too late? 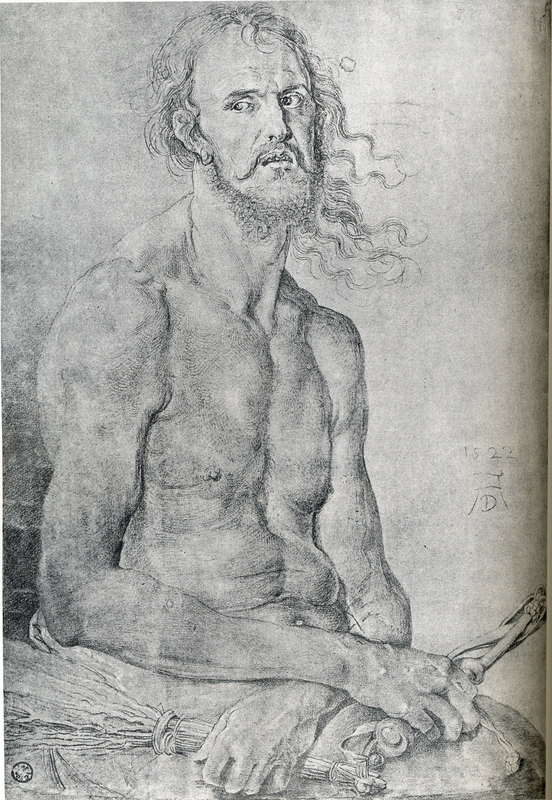 ), Dürer’s friends had him dug up. A cast was made of his face, and commemorative death masks circulated Europe. 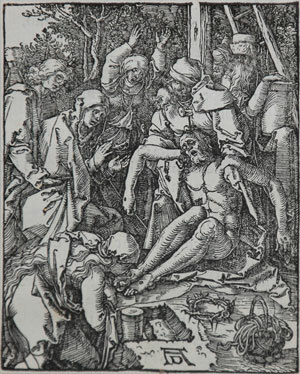 Casts were also made of his right hand. 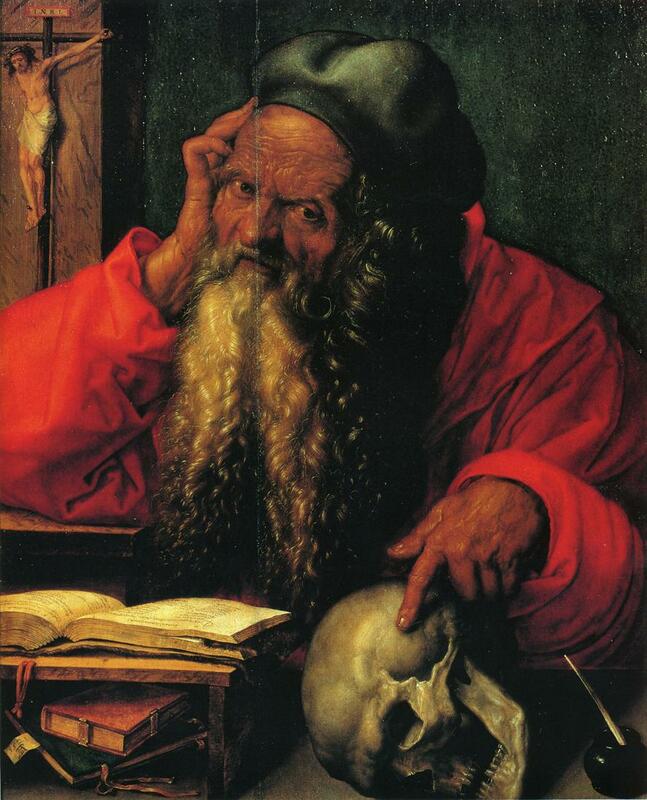 And in a gesture of competition Dürer would have understood, the monument was only rushed to completion after news that Antwerp’s statue of Peter Paul Rubens might go up first. 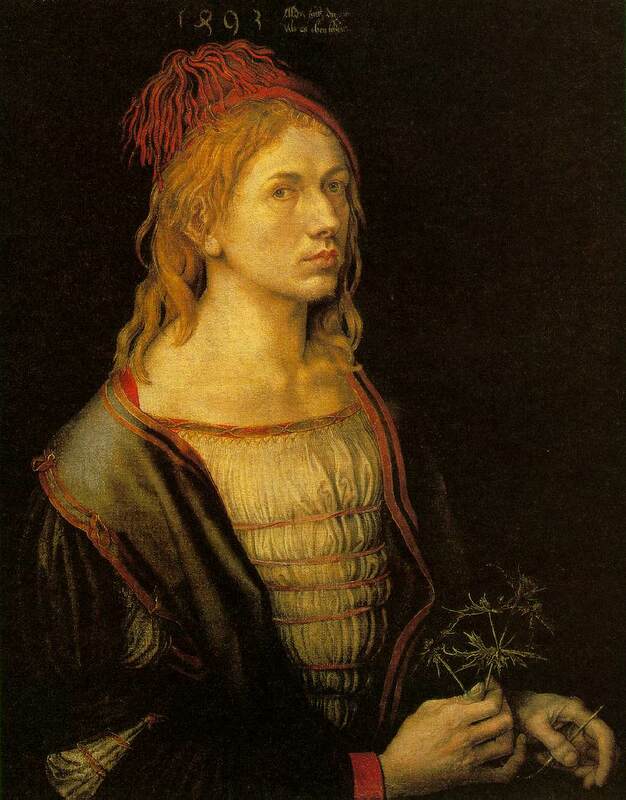 Jeffrey Chipps Smith, Dürer, 23, 28. Ibid., 133, 359, 368-9, 375-6.